Contact the Office for Details on Our Specials! Now Leasing For 2019 - Contact us Today! 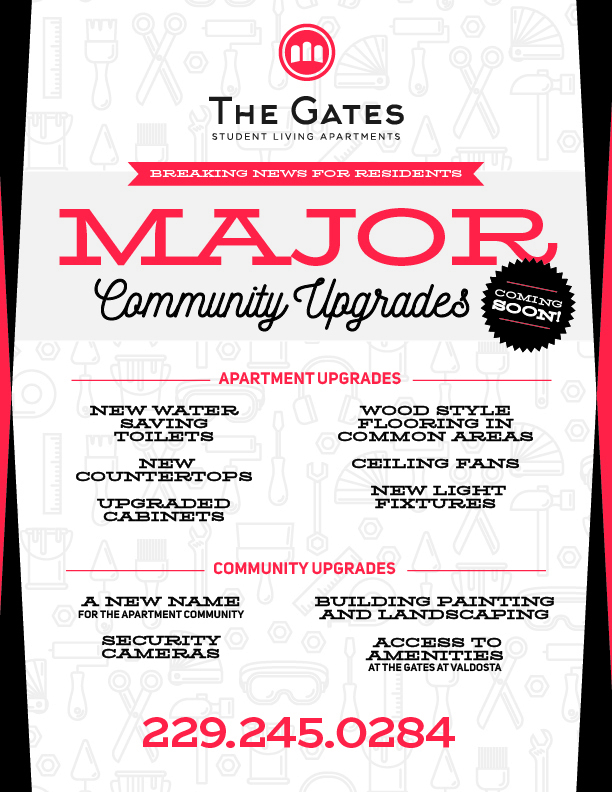 The Gates at Valdosta is the closest, furnished apartment community to Valdosta State. That means you can hit the snooze…take 30 winks. You’re just steps away. By providing your phone number, you are authorizing Asset Campus Housing to send messages to your cell phone using automated technology. You are not required to opt-in as a condition or purchase, lease or rental. Message and Data Rates Apply. Text HELP for help. Text STOP to end.